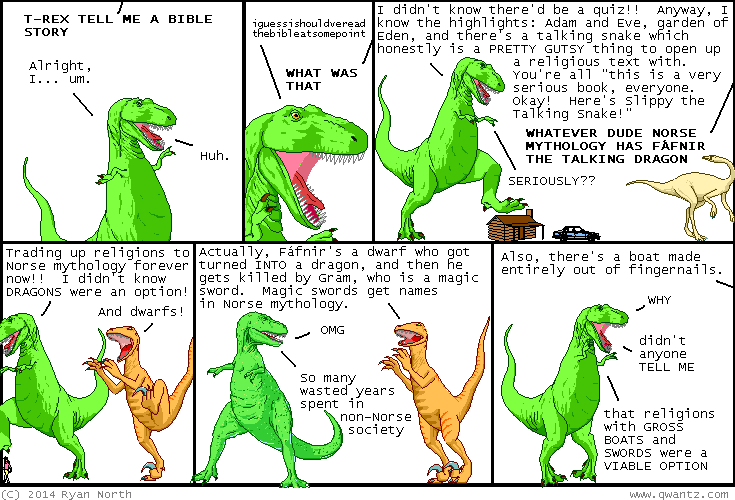 Dinosaur Comics - January 27th, 2014 - awesome fun times! –And at present, he was learning about pine trees! 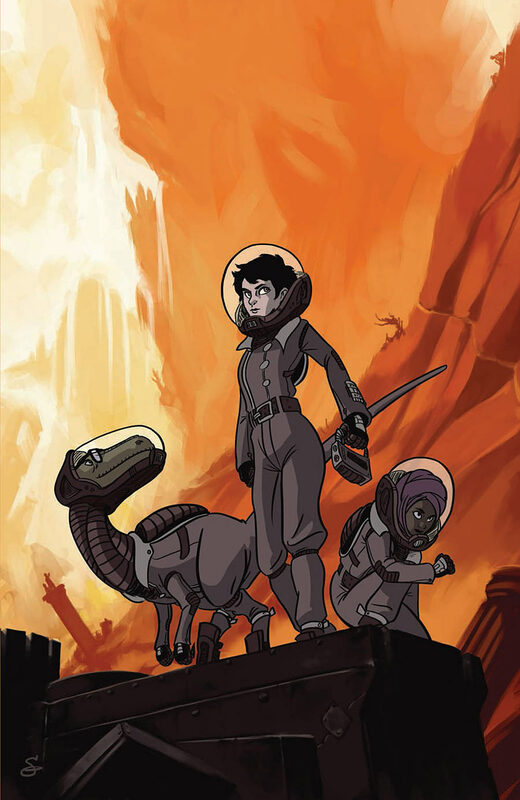 The Midas Flesh #2 is now out! And if you go to your local comic book shoppe they'll likely have it as well as #1, because since #1 sold out we did another printing (with a Jess Fink cover!). This issue has covers by John Keogh and Aaron Diaz. The story is about King Midas getting his wish and everything he touches turns to gold, but since he's touching the planet the entire planet turns to gold and then he drowns since the air touching his lungs turns to gold. Thousands of years later, a team of RAD DUDES (including a dinosaur) visit the gold planet in search of a doomsday weapon they hope can help them defeat the evil Federation: King Midas's body, the one thing in the universe that carries this transmutation effect. You can read the first few pages of the comic here, and if you want to make sure someone else liked it first before you commit, you can read a review of the issue here! Thanks for liking my comics everyone!